After England opened their World Cup campaign with a 2-1 win over Tunisia, celebrations around the country got underway as Harry Kane’s late decider sparked a bit of a party back home. 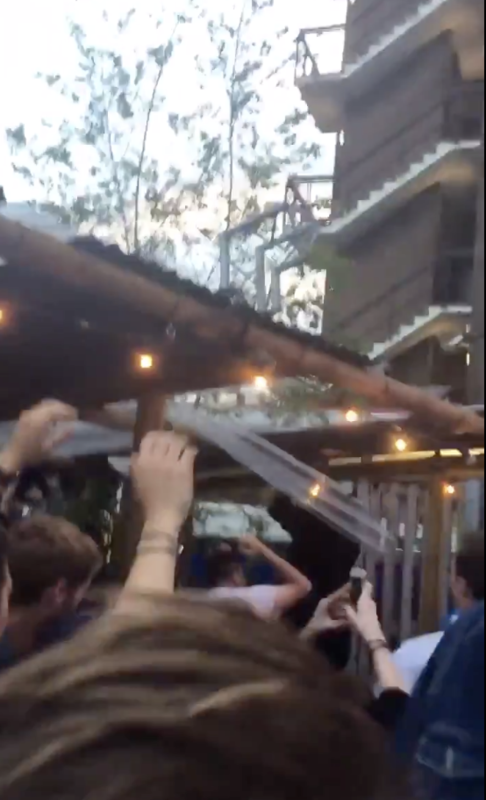 Despite it being a Monday evening, the booze was flowing in one particular bar as Three Lions fans sung the classic ‘Football’s Coming Home’ for it only to be halted after one battered supporter fell through the roof of one of the mini bars at the venue. Pretty hard to smooth that one out, really.